I might be in the minority, but I love shopping for school supplies. I determine our needs, make a list, check the sales, and head out to shop. I’m rarely alone when school shopping, so I made a school supply scavenger hunt for the younger kids. My kids LOVE scavenger hunts and ask for them often. 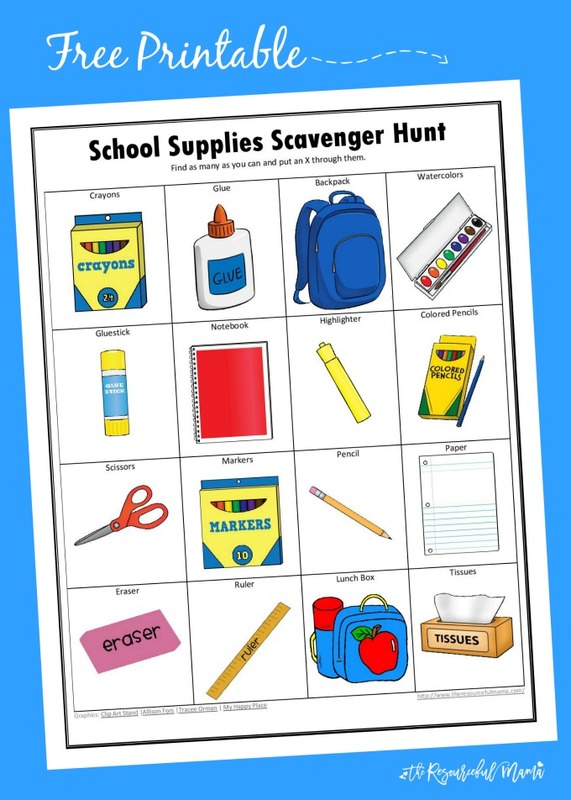 This school supply scavenger hunt keeps the kids busy and engaged while shopping for their supplies. Shopping for school supplies and completing this fun scavenger hunt is a great way to get kids excited about going back to school, especially kids who might be anxious about their first days of school. Our school supply lists are usually fairly specific on what we need to purchase, but the kids love to give input on the items that allow some wiggle room. You could also use this at home to hunt for supplies you might already have on hand or as you are gathering all the supplies for move in night/first day of school. This is a great idea! Kids could use it before you head to the store by circling the items they need.